The Zarges portfolio now features the Z 500 Seventec RC models designed especially for use outdoors and in areas where there is dirt or debris, dampness or snow. The 85-mm extra-wide steps with treads prevent slipping and ensure secure footing, while the integrated perforations help water drain away. The new ladders are available as single ladders and stepladders with single-sided and double-sided access in three different sizes each. 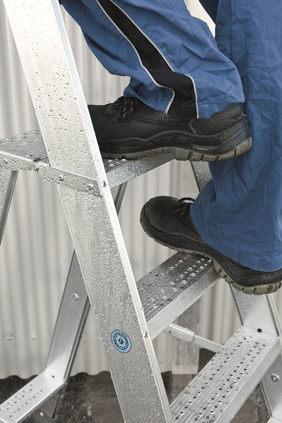 Alongside their resistance to weather and their integrated water drainage feature, these ladders are also known for their impressive stability thanks to the 7-point tread-stile connection with reinforcing in the centre of the tread and a collapsible metal connection on both sides. The smooth, easy-grip rails make these ladders simple to use and a large platform ensures secure footing while working. All Z 500 Seventec RC models feature luminescent strips on the rails for better visibility even in poor conditions. 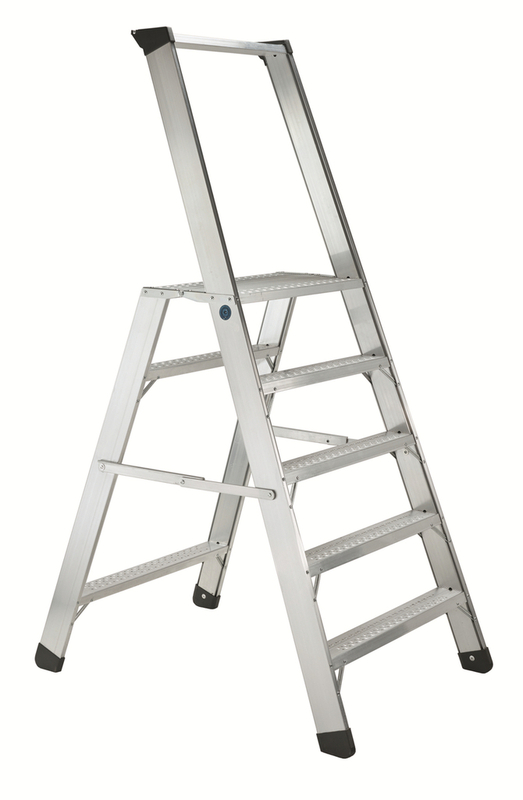 For even greater practicality, the single-sided access stepladder and the single ladder also a feature practical tray with room for tools and small parts.